Only one remained on the Isle of Wight who remembered Lucy Lightfoot. He was the reason she had returned, and the reason she stood in the church porch, debating on whether seven hundred years was long enough. She hesitated, glancing toward the setting sun, and then retreated to her house, just along the street. She wondered yet again why returning to her old home, and this island, was so important. She had prepared well, and she felt she had a very good chance of success, but the stakes were so damned high. Lucy headed straight for the study, sloshed a large measure of brandy into a waiting snifter, and knocked it back in one. She stood motionless for several seconds whilst the alcohol seared its path, and her eyes watered momentarily. What a waste of good liquor, she thought. Father would be horrified, despite all of those casks he slid past the Excise. ‘Brandy was fer gentry’ he’d say. Father would be surprised at a lot of the things I get up to now. She lowered herself into a chair, as the drink finally hit, and poured another good measure. Sobriety didn’t appeal so much, today. 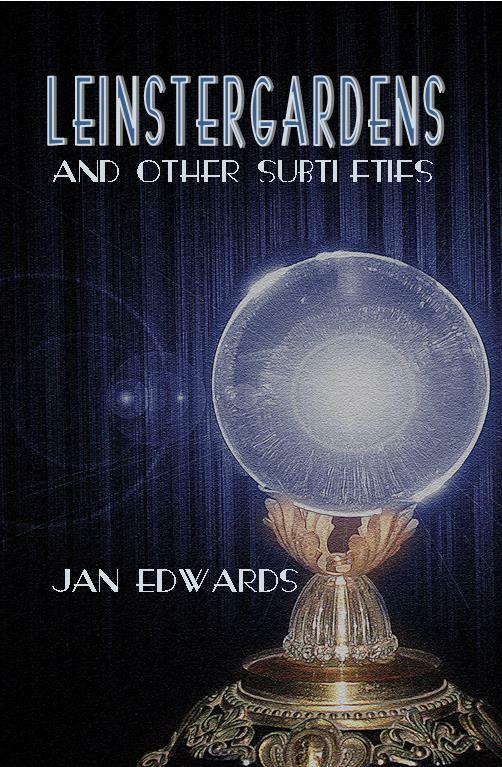 Read more in Leinster Gardens and Other Subtleties by Jan Edwards — buy from Amazon UK, Amazon US or other online dealers. Also available for the Kindle.